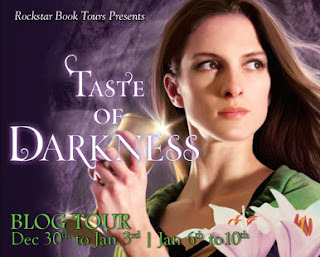 Taste of Darkness Blog Tour! After waiting over a year, TASTE OF DARKNESS is finally being released! Yay! To celebrate, I'm doing a blog tour hosted by Rockstar Book Tours. The tour starts Monday, December 30 and goes to January 10, 2014 (minus the weekends :). MIRA books has generously offered to give away 12 copies of TOD for this tour and it will include two international winners.